Substantial progress has been made in changing the way energy is used in Ireland. Homeowners and businesses have become more conscious of the need to reduce energy use and ensure that their energy comes from cleaner sources. As 2020 approaches, businesses are looking for renewable heating solutions. Gas Networks Ireland and Ireland’s energy suppliers are looking to deliver Renewable Gas as the solution. Ian Kilgallon, Innovation and Business Development Manager with Gas Networks Ireland outlines the case. Ireland, like many other countries, is grappling with the challenge of meeting the ever increasing energy demands of its people, while reducing the environmental impact of this consumption and, at the same time, maintaining a secure affordable energy supply. In addition to this, Ireland is under pressure to meet EU targets for renewable energy. Failure to do so will lead to significant fines which, at current calculations, could reach hundreds of millions of euro per annum.1 Interest from industry in Renewable Gas is high, with many of Ireland’s largest businesses working towards a zero emissions target. These companies have already made substantial capital investments in their heating infrastructure and ideally want a system that can deliver emissions savings using their current equipment. Renewable Gas ticks these boxes, which is why companies such as Diageo, Wyeth and other major energy users are seeking the solution to be available in Ireland. While gas is relatively low in emissions, and is itself a key transition fuel as Ireland seeks to decarbonise its energy market, Gas Networks Ireland is introducing Renewable Gas, also known as bio-methane, into the Irish market as a means of further reducing emissions. A flexible fuel source, Renewable Gas gives users complete control and is by definition a renewable and carbon-neutral source of energy. From a commercial perspective, this means that businesses, and homeowners, can adopt the new renewable fuel without any investment. Renewable Gas is generated principally through a process called anaerobic digestion. The benefits of Renewable Gas outstrip even those of natural gas. In addition, the feedstock for Renewable Gas will be sourced in Ireland. By using agricultural waste to make Renewable Gas, the emissions from agriculture are significantly reduced. This delivers a double saving. By reducing our emissions, we take a step closer to avoiding heavy fines from the EU Commission. Gas Networks Ireland believes that indigenous Renewable Gas could provide 20 per cent of Ireland’s gas needs by 2030, with this figure growing rapidly thereafter. This would make a significant impact on reducing Ireland’s greenhouse gas emissions and will ensure that Ireland remains a country in which environmentally-sound manufacturing is possible. Ireland’s Heavy Goods Vehicles contribute nearly 20 per cent of Ireland’s road transport-related emissions. In January, Gas Networks Ireland announced the development of a new transport energy network – 70 Compressed Natural Gas (CNG) filling stations located throughout Ireland. CNG immediately reduces Carbon Dioxide emissions by as much as 22 per cent compared to diesel. Renewable Gas or Bio-methane will off-set these emissions completely. Utilising Ireland’s circa €2.7 billion investment into gas infrastructure can be easily and quickly leveraged to increase our country’s renewable energy usage by 2020 and beyond. Progressing in this way will make a significant impact on reducing Ireland’s greenhouse gas emissions. Gas Networks Ireland is working with industry partners and Government to kick-start this process. In doing so, Gas Networks Ireland aims to ensure that the natural gas network is utilised to the full benefit of the Irish people and plays a central role in providing secure, clean and efficient energy into the future. 1. What is Renewable Gas? Renewable Gas is gas produced from the fermentation of organic matter, usually slurry, grass, sugar beet or maize. 2. How is it generated? Renewable Gas is generated principally through a process called anaerobic digestion. 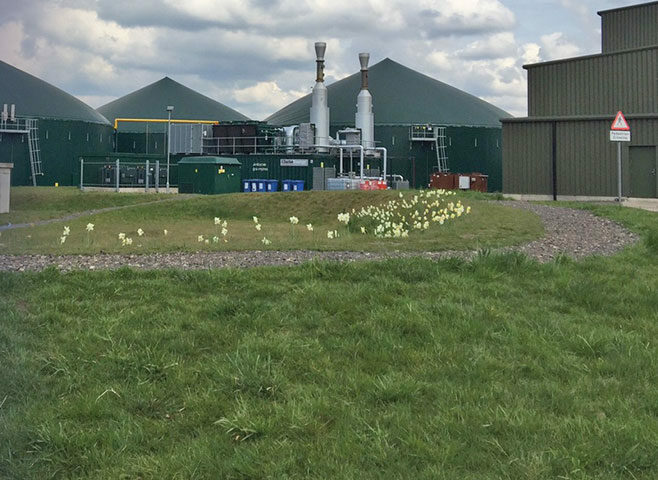 In order to make the gas, feedstocks such as grass, animal slurry and domestic waste are heated and agitated in an oxygen-free environment to produce biogas and bio-fertiliser. The biogas is purified to create bio-methane, and is identical to natural gas. 3. Why do we need Renewable Gas? By 2020, Ireland must have 16 per cent of all its energy from renewables. If not, Ireland faces fines of €400m per annum for each per centage point by which these targets are missed. Up to now, incentives only focused on producing 20 per cent of our energy needs through electricity production. More supports are needed for other energy sources. 4. Is Renewable Gas good for Ireland? Yes. A flexible fuel source, Renewable Gas is a carbon-neutral source of energy. Therefore it delivers the same performance as natural gas, but with zero emissions. It uses sustainable, indigenous energy sources, is versatile, clean and secure. Critically, it will help us to reach our renewable heat targets, paving the way to a sustainable economy. 5. 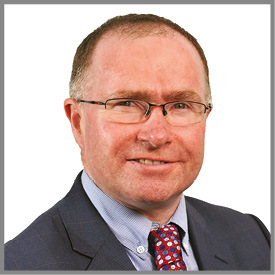 What role does Gas Networks Ireland play? Gas Networks Ireland owns and operates the national gas network and is the link between the gas supplier and gas user. We are effectively the transporter of Ireland’s gas. Unlike other renewable sources, our network can be used to store energy. 6. What are the benefits of Renewable Gas for industry and for the energy user? For the agri-food industry, Renewable Gas will replace energy imports, improve our food production carbon footprint, create employment and benefit tillage and livestock farmers. For the energy user who is already using natural gas, there is no additional cost, but the benefit of using a carbon-neutral fuel source. This is especially important for Origin Green members who can decarbonise their energy supply. 7. Other countries are more advanced in Renewable Gas production – why? The focus of Irish energy policy to date has been on Renewable Electricity. Focus is now expanding to Heat and Transport, which will provide an opportunity for the development of Renewable Gas. 8. What level of support is needed? At the most basic level, Renewable Gas needs to receive support and subsidies in line with other forms of renewable energy. 9. How, typically, would this work? For example say, the farming community? Farmers could invest in an anaerobic digester or contract supply feedstock. For example, each hectare of land can produce 68MWh per year of gas energy from grass silage. This is 55 per cent more energy than can be achieved from high rotation willow plantation (wood biomass). This gas energy can generate a gross income that is between 20 per cent and 45 per cent higher for the farmer than can be achieved with willow plantation. 10. What are the biggest challenges? Policy support and certainty around future policy direction is one of the most significant challenges facing the development of Renewable Gas. In the longer term, with a Renewable Gas industry established, further Renewable Gas production can be encouraged through ongoing policy incentives such as a Renewable Heat obligation, similar to what we see with the Biofuel Obligation Scheme on the existing mature liquid fuel industries.